Many buildings now use automated roller doors and gates in areas where acess is essential at all times. Carparks often require 3 phase to operate mechanical car stackers and turntables and the loss of utility supply can be a major inconvenience as well as a safety issue in an emergency situation. The SURE POWER system can run 415V 3-phase electric doors and gates for many hours even after the utility supply has failed . Warehouses, supermarkets and car parks now have mandatory evacuation plans to provide a safe escape path for staff and visitors. Often these escape plans will include a path through powered roller doors and gate systems. 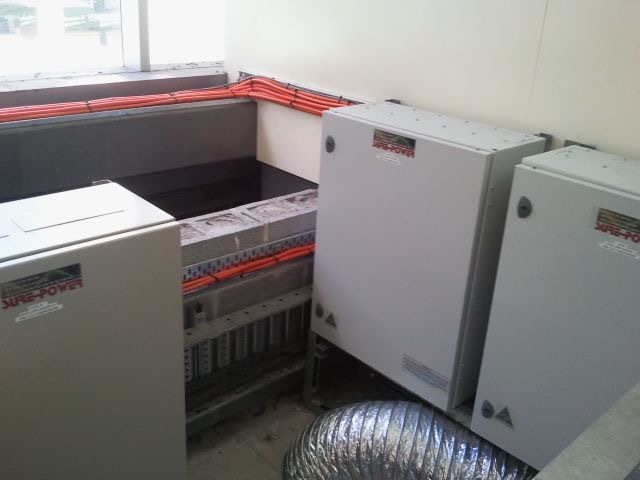 Until now, full compliance with these Safety Requirements has been difficult as a reliable battery powered Three-Phase supply has not been commercially available in Australia. 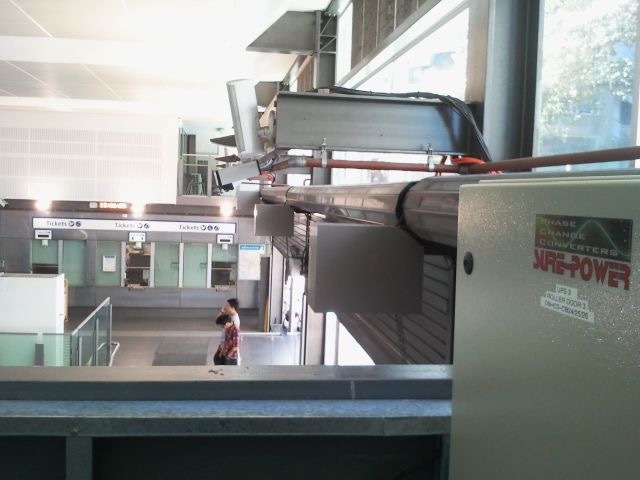 The SURE POWER system was developed in consultation with industry specialists to meet specific needs of evacuation systems and automated door controls in Australian buildings. 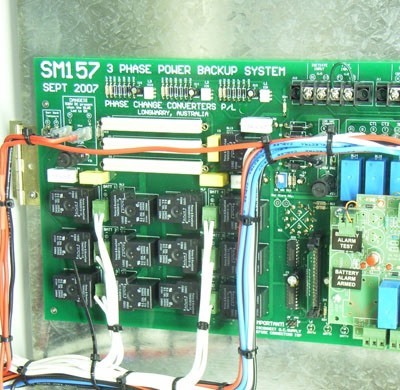 SURE POWER systems constantly monitor for AC power failure and Fire Alarm signals. 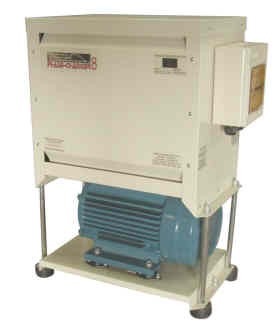 Depending upon the size of the motor load and power rating of the SURE POWER selected, it can maintain door control for hours, or even days in the absence of a Single Phase AC mains supply. 1P-3P installation does not require modifications to drive systems. 3P-3P installation does not require modifications to drive systems. It is wired between the 3 phase utility supply and the existing door or gate equipment. 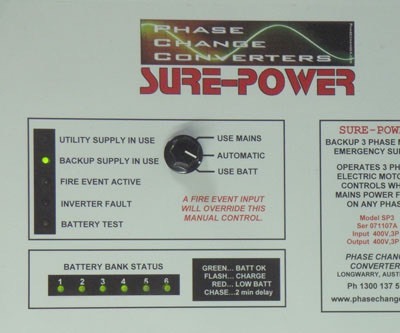 When Single Phase AC Mains fails, SURE POWER will automatically activate and provide 3 Phase power for a minimum of 20 door or gate operation cycles. A 400W Neutral output is generated by the SURE POWER to extend a 240V AC supply to the control logic circuits required by some door systems. Auxiliary FIRE inputs take priority over manual control settings in emergencies. A special output is available to drive emergency doors to preset positions.